Welcome to the newest edition of Small Farm News, the newsletter of the UC Small Farm Program. With this issue, we have completed our transition from a traditional print newsletter to this new, online-only format. We hope you find this new edition just as interesting and useful as our classic newsletter — and easier to share. You can read it all now or bookmark Vol. 1 2012 for later. If you aren't already, become a subscriber today. You may also want to explore back-issues in our newsletter archives. For consumers, the effects of food safety practices can seem simple, though critically important: You’re either sick from the food you eat or you’re not. But for producers, food safety comes in many shades of risk at many critical points in their business operations: water testing, worker hygiene, harvest techniques, postharvest cooling and storage, previous land use, wildlife and more. To help small-scale farmers better plan for food safety concerns, several UC Cooperative Extension farm advisors are being trained in food safety audits and are planning food safety workshops. The project is led by Shermain Hardesty and Richard Molinar of the Small Farm Program, with funding from the UC Division of Agriculture and Natural Resources. The group is beginning to offer workshops for farmers in eight regions of California. New FDA regulations are being developed for the Food Safety Modernization Act that will affect food producers, among others. The act includes an exemption for farms whose annual sales were less than $500,000 on average during the last three years, with the majority of their product sold directly to consumers, farmers markets and restaurants within the state or within a 275-mile radius. "Even though it exempts many small farmers, the Food Safety Modernization Act says the exempt producers would still need to comply with any food safety regulations from state and local governments," Hardesty said. Trevor Suslow, UC Cooperative Extension specialist in food safety at UC Davis, has said that the FDA can withdraw the exemption with cause. “Whether or not the exemption will hold, I think, is incumbent on everybody,” he said. He expects the regulations will be implemented in tiers, with smaller farms having three years to comply once the regulations are final. Even without regulations in place, more buyers — including packinghouses, retailers and at least one certified organic distributor — are requiring farmers to meet food safety standards. Insurance companies are also, in some instances, cancelling policies or hiking rates for small farmers who have not documented their food safety practices, according to Hardesty. Many farmers who work with large packinghouses, sell to major distributors or are members of a commodity-specific commission have already established their food safety practices to adhere to standards of their industries. But smaller farmers who grow multiple crops or who aren't part of a commission may still be looking for food safety guidance, which these workshops aim to provide. "Most of the growers I work with are exempt, but even so, they are very concerned about how it will affect them," said Cindy Fake, one of the UC Cooperative Extension farm advisors who is part of the project and works in Placer and Nevada counties. "There is a lot of awareness of what is coming down the line." The workshops will include presentations about food safety as it relates to regulatory and business trends, previous land use, workers, water, wildlife, waste, soils, harvest, transportation, traceability and farm mapping. What should a farmer do with all this information? Participants at the California Small Farm Conference had the opportunity to attend a two-part session focused on food safety with Suslow, who is also the technical advisor for this project. 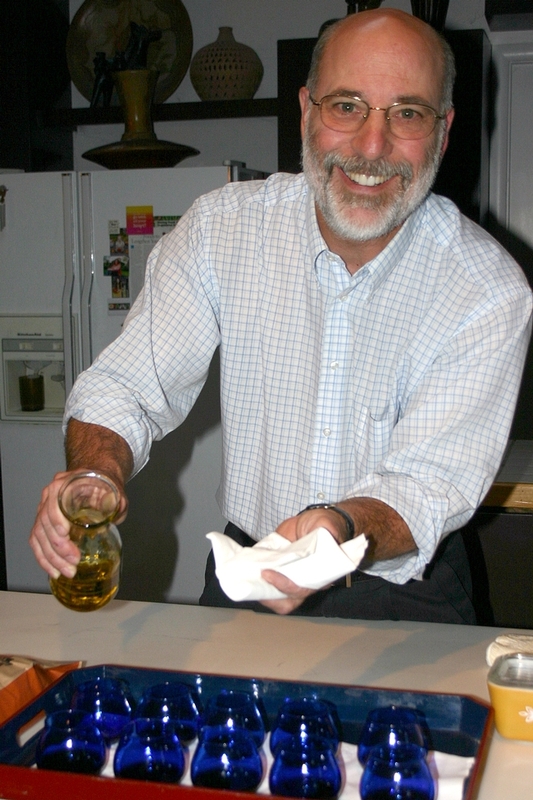 In his session, Suslow examined the link between fresh produce, outbreaks and illnesses. 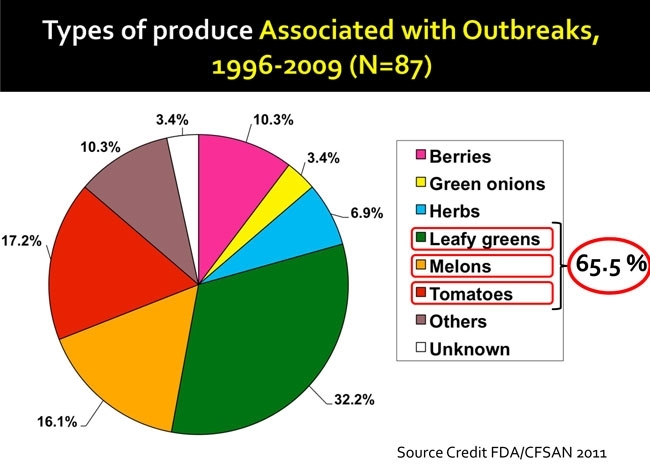 Leafy greens, melons and tomatoes have been associated with a combined 65 percent of produce-related outbreaks, between 1996 and 2009. Food safety programs, he explained, depend on multiple hurdles to help prevent biological, chemical and physical hazards from entering food, surviving, growing and persisting. Cold chain management is one critical aspect of postharvest food safety. Bacteria can double in a very short period of time if cold chain management is neglected. “In just a few hours, you can go from something that won’t affect most of us to something that would make you sick,” Suslow said. Food safety workshops for this project will be held in multiple regions around the state. The first such workshop, scheduled for April 12 in Santa Rosa, has already sold out. Registration is available for the next food safety workshop, May 3 in Stockton. The workshop is free to attend, though pre-registration is required. 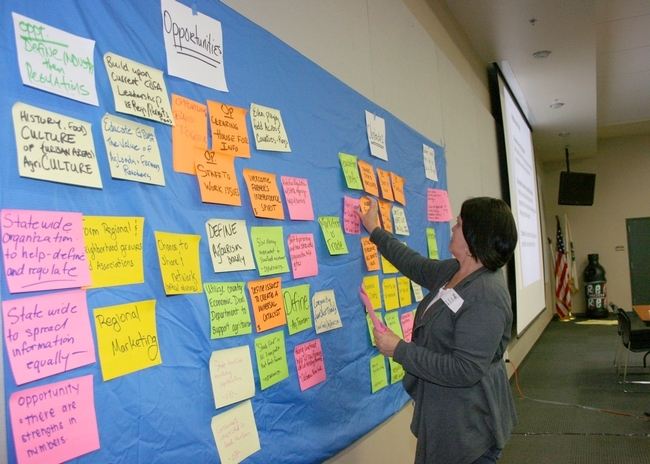 Additional workshops will be planned by UC Cooperative Extension farm advisors participating in the project, who are located in Lake, Sonoma, San Joaquin, Placer, Nevada, Santa Clara, Fresno, Ventura and San Diego counties. All food safety workshops associated with this project will be included on the Small Farm Program's calendar as well. On Farm Food Safety project is part of Familyfarmed.org and can help farmers create a customized food safety plan. Suslow was a technical advisor to this project, along with a national team of stakeholders and specialists. Back to the newsletter: Find more Small Farm News articles from our Vol 1. 2012 edition. At a recent statewide summit, California agritourism leaders overwhelmingly agreed that a statewide organization would be a major step toward improving agritourism support in the California. Agritourism is a completely new business for most farmers and ranchers, combining hospitality with agricultural production. Starting an agritourism enterprise requires learning new skills, complying with a multitude of new regulations, managing new risks, training new staff and collaborating with new partners. Statewide associations can develop and share resources and provide a unified voice for a growing agritourism industry. Many other states have developed statewide agritourism associations which help foster collaboration among county and state agencies, agritourism operators, local agritourism associations, tourism professionals and other supporters and partners. California agritourism is primarily organized, regulated and promoted at the county or local level, resulting in a diversity of local organizational structures and branding efforts. The county-based regulatory system also leads to major differences in permitting, regulations and fee structures throughout the state. 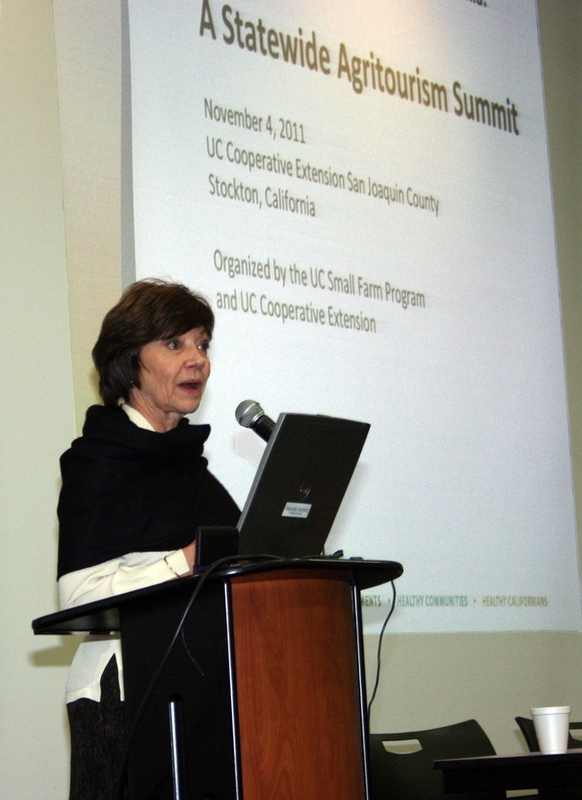 Karen Ross spoke at California's first statewide agritourism summit, held in Stockton. Communication among the local agritourism groups and the thousands of individuals involved in California agritourism is undeveloped, with no unified voice representing the growing agritourism industry in the state. Although some local agritourism associations are successful in drawing tourists to their regions and benefit their members by offering networking, training and marketing opportunities, many groups struggle with lack of organizational and marketing expertise and minimal financial or staff support. Many individual agritourism operators and potential operators in California are in regions with no supportive trade or marketing organization. Collaboration among local agritourism associations and county staff responsible for regulating or developing agritourism is weak, with wide disparities in regulations and agritourism support between different counties. California's 58 counties bear the primary responsibility for permitting and regulating agritourism operations on agricultural land within their boundaries. The counties often struggle with creating allowances and ease of permitting for agritourism businesses, while ensuring that agritourism is a supplemental (rather than primary) activity on a commercial farm or ranch. Regulations also must ensure that agricultural production and local residents are not adversely affected by tourism. Each county’s staff must research the general plans and zoning ordinances of other counties when updating their own, but there is no central clearinghouse for this information. Interpretations and enforcement of state-level environmental health and direct marketing regulations, which affect agritourism enterprises, also vary widely among the counties. At least sixteen other states have organized statewide agritourism associations, most of these involving partnerships between state departments of agriculture or tourism, university extension and agritourism operators. At least 23 states have enacted statutes that address agritourism, varying from liability protections for agritourism operators to tax credits to zoning requirements. Many other states include agritourism promotion and resources for operators on state department of agriculture or tourism websites. 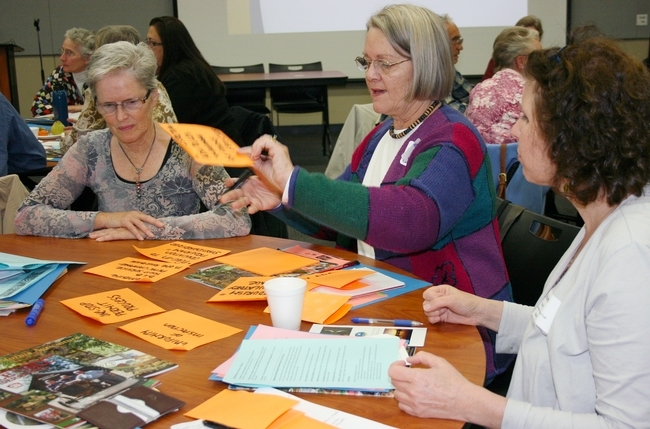 At the statewide agritourism summit, organized by the UC Small Farm Program and UC Cooperative Extension Nov. 4 in Stockton, the approximately 120 participants talked together in regional breakout groups, including one group representing statewide interests. Six of the seven groups agreed that a statewide agritourism organization would be an important part of building better support for California agritourism. From left, Carol Hogan, Judy Creighton and Vivien Straus discuss possibilities for building broader agritourism support at the summit. The UC Small Farm Program, working with the UC ANR-based Agritourism and Nature Tourism Workgroup and other partners, is committed to helping coordinate further discussion among everyone involved in California agritourism about the next steps for building effective statewide support. The summit organizers, in cooperation with representatives from interested state agencies and organizations, are preparing a white paper to explore the potential process for organizing a statewide agritourism association in California. Formation of a statewide organization might begin with agreement on a sponsoring agency for a start-up group, would need start-up funding, and would involve wide discussion with potential membership about needs, issues and organizational structure. Presentations, handouts, and small group reports from the summit are available on the UC Small Farm Program’s website. Summit participants also received contact information for participants who agreed to share their information, in order to better facilitate networking and communication. Though growers can earn retail prices at farmers markets, many farmers find their profits challenged by the additional marketing costs required, such as transportation and staff time. But one farmers market has developed a way that it can help farmers sell higher volumes to multiple buyers with just one trip — by serving as a venue for sales to restaurants and wholesale distributors, in addition to individual customers. The Santa Monica Farmers Market hosts 75-80 farmers every Wednesday and could very well be the nation's largest "wholesale farmers market." Laura Avery, farmers market manager, gave a presentation about sales to chefs and professional produce buyers at the California Small Farm Conference. 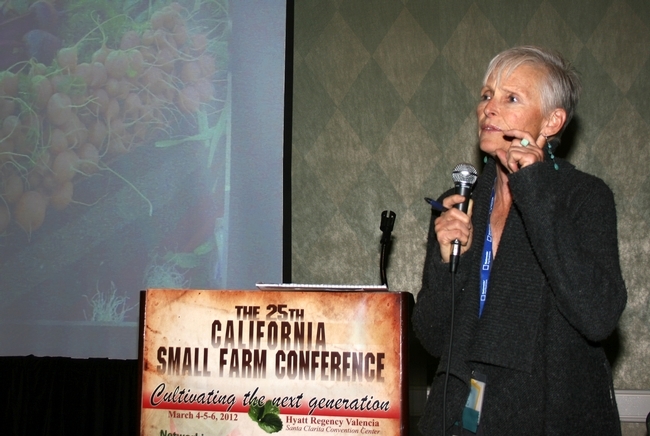 Laura Avery, manager of the Wednesday Santa Monica Farmers Market, spoke at the California Small Farm Conference. Avery has been working with the market since 1982, only a year after it first opened. In 1999, the market held a chef appreciation day, its first official interaction with chefs. As farm names started showing up on restaurant menus, more chefs began to show up at the market to source fresh produce from small farms. Over time, the practice grew to include produce buyers from wholesale distributors too. "We allowed it to progress organically," Avery said. "This happened by itself — just people doing what they want to do and getting what they want to get." She said that a recent survey of professional produce buyers at the market found that they shop for 5-25 customers each week and have been sourcing from the market for 5-15 years. 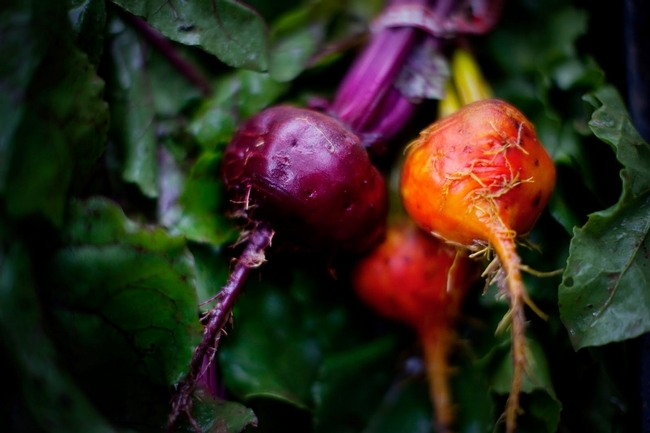 They reported average produce sales of $1,000 to $4,000 each week from the farmers market. In one of its few concerted efforts to facilitate these sales, the market has designated parking for chefs and produce companies. Avery said some of the trucks will load up and return multiple times over the market's four hours. Jerry Rutiz has been selling to restaurants at the Santa Monica Farmers Market for 29 years. He grows vegetables, berries and flowers on 28 acres in Arroyo Grande and also operates a CSA and farm stand. "About 70 percent of what we bring to the farmers market is sold to restaurants," Rutiz told conference participants. Before each Wednesday market, he sends out an email on Monday with his availability and prices. He receives orders by email or phone before the market. He provided some tips for farmers who want to sell to restaurants and develop relationships with chefs. "Ask the chef what he wants or can't get," Rutiz said. "Don't expect to sell cabbage or white cauliflower to a restaurant, but if you can bring purple, orange or green cauliflower — that can differentiate you and can help differentiate their restaurant from other restaurants." Also: "Restaurant prices have no consequence with wholesale prices of the moment," he said. "Price is not the biggest criteria, quality and consistency are." Though Rutiz has found success with chefs, restaurant sales aren't the focus of all farmers at the Santa Monica market. "We figure about 25 percent [of produce sold at the Wednesday market] is restaurant wholesale," Avery said. "Some farmers like Jerry sell a majority to restaurants, but some sell just to customers and not to restaurants." 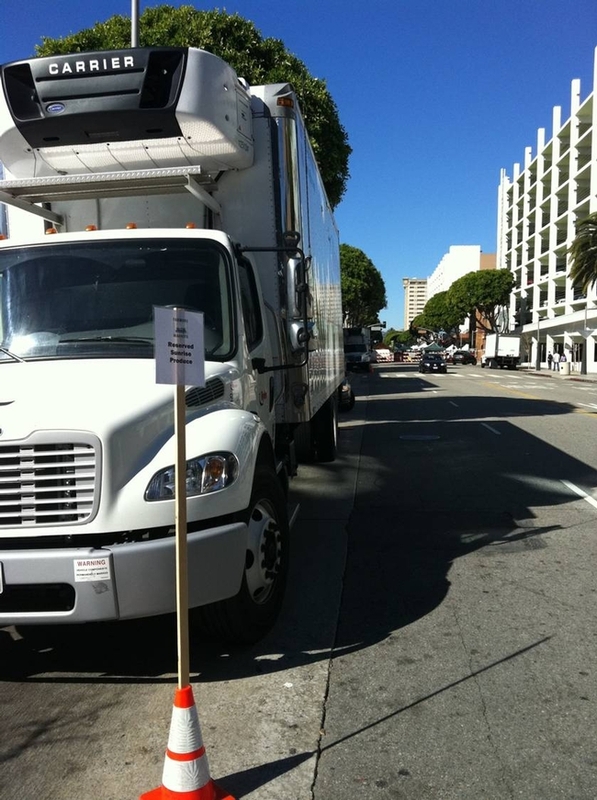 "This is enterprise that takes place on the sidewalk behind the trucks, not in front of the tables where the public buys," Avery said. Sales to distributors must adhere to wholesale size and pack regulations, though recent state legislation (AB 2168) allows chefs and restaurants to purchase exempt produce directly from farmers. Rutiz said complications can arise if, for example, a restaurant agrees to buy all of a particular product — the same product that a traditional farmers market customer wants to buy from him. 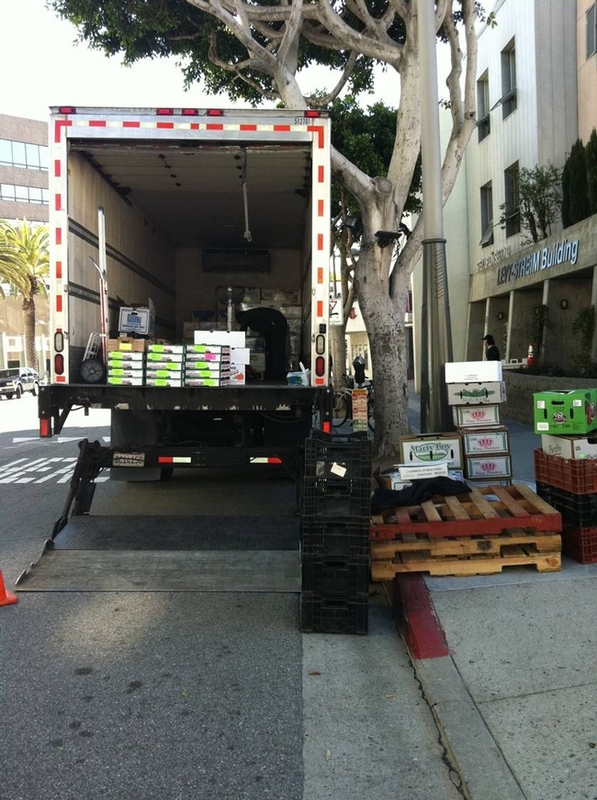 "The trick is to cover up the produce [that's already sold] or leave it up in the truck. Or have a little stash of strawberries on the side and act like you're doing them a favor," he said. The topic of farmers markets as a venue for wholesale produce buyers came up during another workshop at the conference as well. Karen Beverlin, vice president of specialty sales for FreshPoint, said her company buys from 28-35 farmers every Wednesday in Santa Monica. 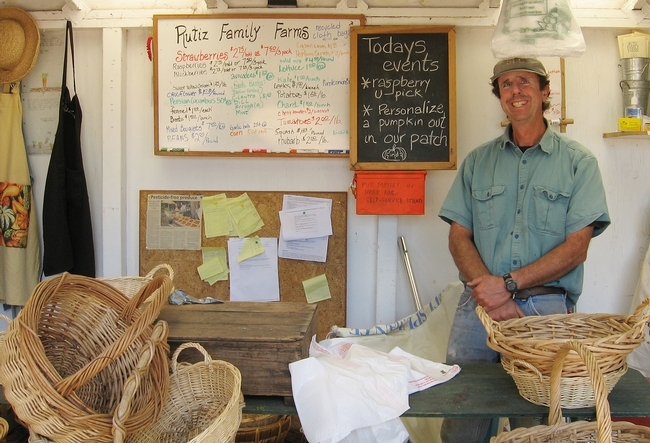 "Farmers markets are huge for our company to meet small farmers," Beverlin said. "It's really helped us basically be an aggregator … and meet farmers who we might not have otherwise met." As a market manager, Avery sees these additional sales at the market as another means of facilitating sales between farmers and consumers. "The impact of the restaurants and produce companies is we have now established sales levels consistently that are as high as the highest day used to be," Avery said. "The bottom line is we're trying to get the product from the farm to the customer at a good price." Encourage your local media to do a story about a farmer and a chef who shops at the market. Understand from chefs which day(s) they need to shop and direct them to the closest market on that day. Encourage farmers to produce an availability list that they can email out to chefs on a weekly basis. Talk to produce companies about a restaurant that you know might be interested in farmers market produce, and encourage the produce company to drop off samples at the restaurant. This can lead to follow-up orders. California growers considering organic certification were able to hear about the value of doing so — and tips for getting started — from a farmer, buyer and agricultural economist at one of the California Small Farm Conference workshops. “I had about a thousand customers per week at the farmers market, pulling up my carrots and saying, ‘Are these organic?’ And I got tired of that question,” said farmer Phil McGrath, about one of the many reasons he chose to grow organically. McGrath and a produce buyer he works with both talked about the importance of “telling your production story” as a marketing tool, and said having the certified-organic label helped. One of the things that sets McGrath apart from some other farmers is his emphasis on diversified farming. His main piece of advice for budding organic farmers is growing organically is easier on a diversified farm. McGrath Family Farms grows mixed vegetables, strawberries, heirloom tomatoes, pumpkins and cover crops. Karen Klonsky, UC Cooperative Extension agricultural economist at UC Davis, explained the basics of organic certification and the organic market. 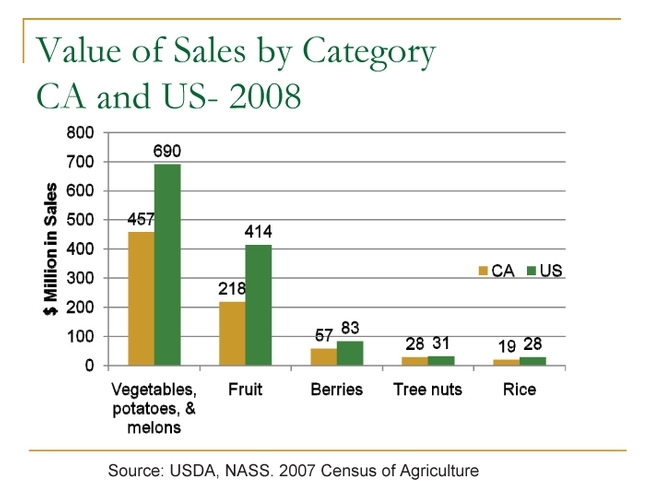 “California dominates organic production nationwide,” she said. Organic production includes following USDA’s National Organic Program, with no prohibited substances for at least three years — including synthetic substances not on the national list, genetic engineering and sewage sludge. Farmers selling more than $5,000 per year must be certified to call their produce organic. The process to get certified involves preparing an organic system plan, recordkeeping and an annual inspection. Klonsky explained that there are 25 USDA accredited certifiers active in California. Though costs and fee structures vary, all of the certifiers charge for the application, inspection and certification. Some certifiers also have trade associations, play political roles, offer educational programs or have specialized services and expertise. Klonsky said that growers should plan for the certification process to take 8-12 weeks, though many certifiers offer expedited programs at an additional cost. “That's something to ask a certifier: Once I get you my paperwork, how soon until you'll visit my farm and I'll be certified?” Klonsky said. The certifier’s inspection will review and verify your farm’s organic system plan (OSP), with a facility tour including any storage and processing, all records pertaining to organic production and practices and an audit trail with a balance of inputs and outputs. The Organic Trade Association works with U.S. organic industry to support and grow organic.